Pin image credit to Pictures of Money – Flickr – Changes were made to the original image. Dave Ramsey is a noted American author, a motivational speaker, a finance expert and a renowned businessman who has millions of followers. His magical financial tips have changed millions of lives. And the best part is that he can actually help you become financially free. So today we’re bringing in some excellent and quick financial tips for those who are struggling in their financial life. 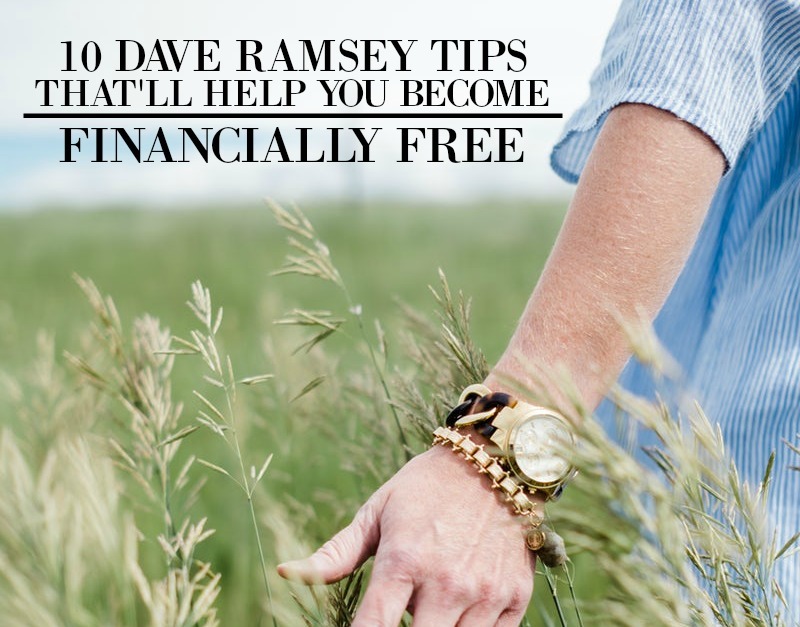 So if you want to get rid of your debt fast, don’t forget to check out these awesome Dave Ramsey tips. Have you ever thought about how much money you could save a year just by couponing? But make sure to use coupons only for products you already buy. Otherwise, you’ll end up buying things you don’t need and still waste money. Kids always grow at lightning speed. So, you don’t have to go into debt to fill out your two year old’s wardrobe. Instead of doing that, you can check out the sites thredUP or Swap.com. Here you’ll find clothes for both adults and children at a reasonable cost. Nowadays, all your favorite TV shows are available online. So, why would you spend over $100 a month while you have an excellent option to save more? So, it’s time to bite the bullet and see how quickly you can get rid of your debt. While you eat at your favorite restaurant, you might feel free since you don’t have to cook for that day. But have you ever noticed that you’re actually hurting your finances too? The best way to socialize is a taco night with your friends or family. The library is the best place to borrow your favorite DVDs and books. So, instead of visiting the theater, start visiting a library to save money. At the end of the year, you’ll be surprised by the result. If you are wondering where your money goes each month, then I think you should ask this question to your nearest coffee shop. You’ll unmistakably get your answer. The best way to save money is to make your coffee at home. Don’t shop with an empty stomach! Before buying your grocery items, plan a budget and stick to it. Online shopping is the best way to save money while ordering groceries. Avoid adding unnecessary things to your cart. Sometimes our hobbies make us spend a lot of money. If you can afford those expensive hobbies you can continue with them. If not, then just avoid them and try to adopt something new that won’t hurt your budget. Kids never understand why it’s all about saving money. So, prepare your kids and tell them that you don’t have room for new things in your budget. Additionally, learn to use this magical word “NO” if nothing works. These Dave Ramsey tips are quick and easy solutions to get ahead financially. But they are a bit tough to maintain since you need a lot of patience and a bit sacrifice to preserve them. But once you get into the habit, you’ll be amazed by the results. Keep in mind that nothing comes free. Today’s little sacrifice can bring tomorrow’s financial success in life.